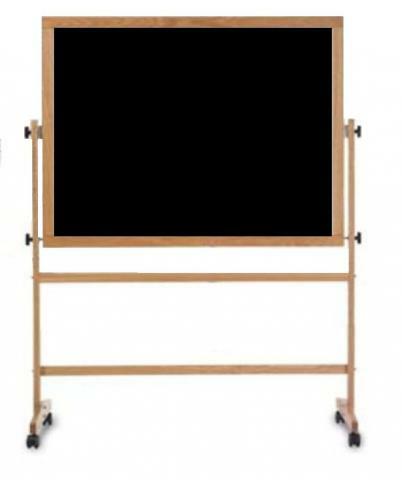 Black, Free-Standing Chalkboard with solid Wood Easel. This Double-Sided, Reversible Chalkboard rests on a solid wood oak frame. 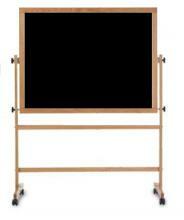 The black chalkboard rotates easily and locks into place. Locking casters (wheels) increase mobility. 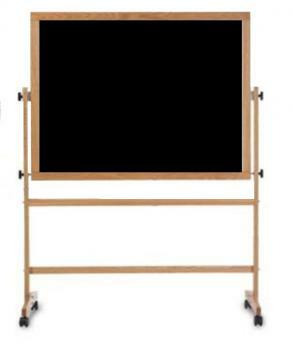 A full-length chalkboard accessory tray is included. Choose your chalkboard size. - Easy Assembly. Assembly Tools Included.